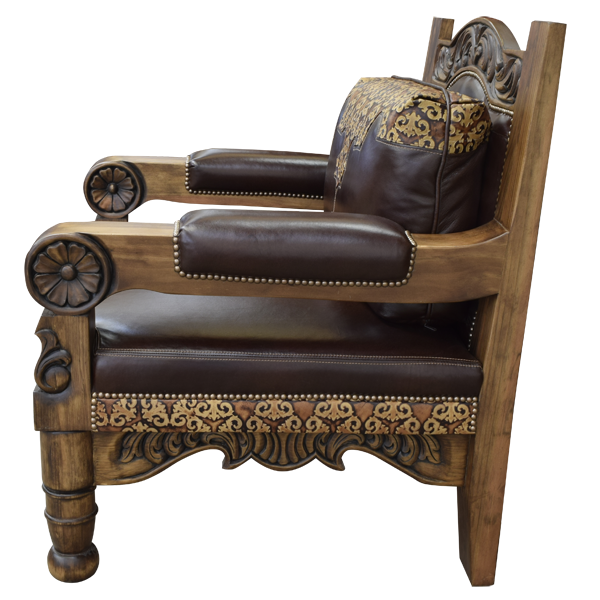 This spectacular, Spanish colonial style, handcrafted chair is upholstered with full grain leather; the finest leather available. Our upholstery is double stitched for extra strength and durability. The seat, part of the armrest, and the lower inside seat back of this handcrafted chair are upholstered in rich, brown full grain leather. 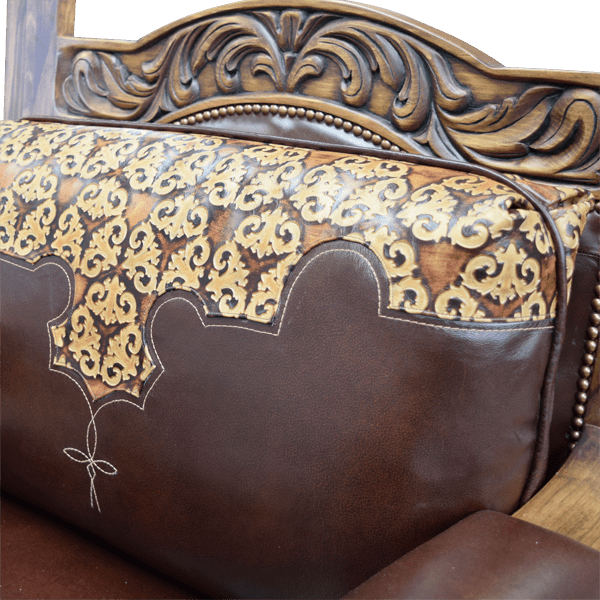 The upper inside seat back is upholstered in brilliant, gold colored, embossed full grain leather, with a Western cut design. 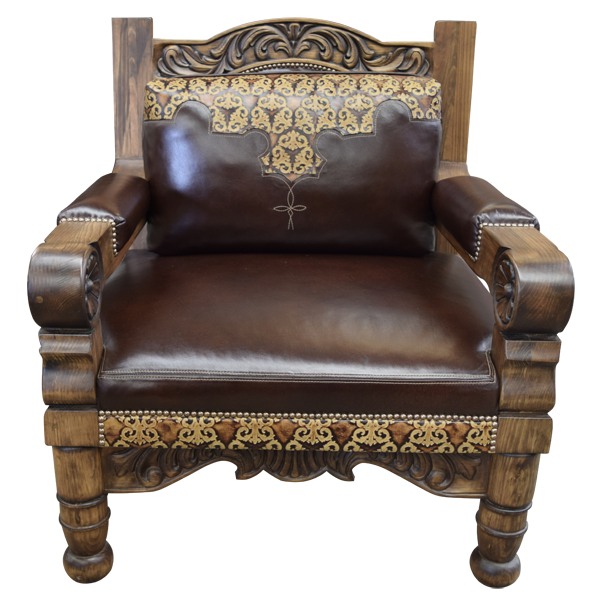 Centered in the inside seat back is a Spanish colonial style, embroidered cross. The lower reverse seat back is upholstered in matching rich, brown full grain leather. 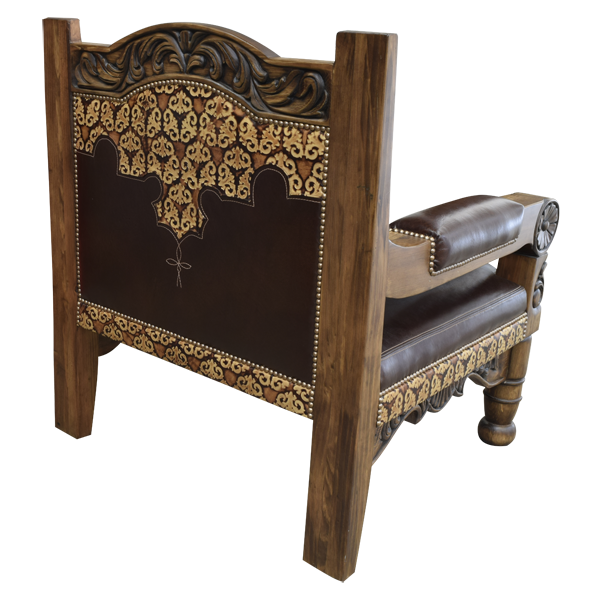 The upper reverse seat back is upholstered in gold colored, embossed full grain leather with a Western cut design and a centered, embroidered, Spanish colonial style cross. 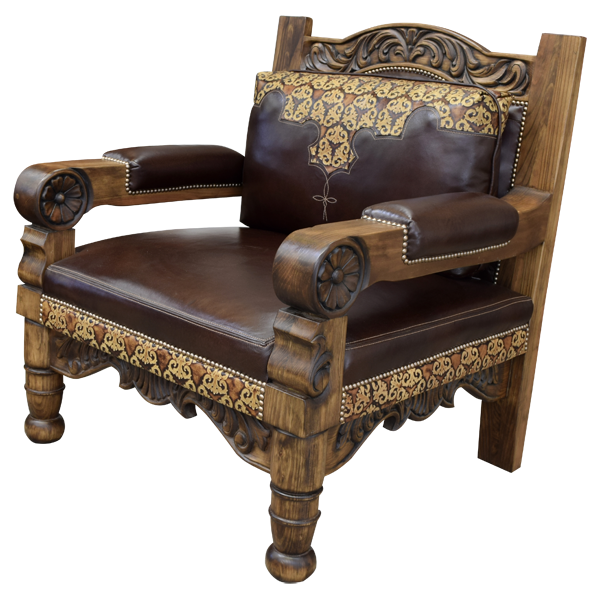 The crest of the inside seat back is completely hand carved with ornate floral designs. 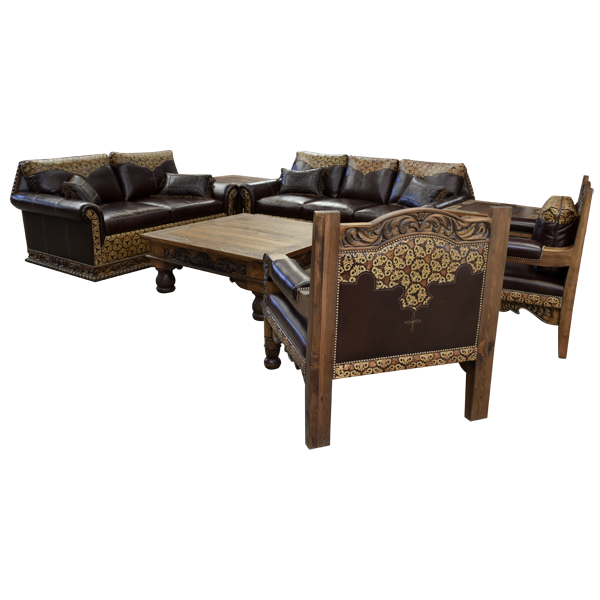 The solid wood, curved armrest end in a hand carved floral pattern, and the chair’s front frieze is also hand carved with elaborate floral designs. The chair is supported by straight, hand turned, solid wood, trumpet style legs. It is 100% customizable.